When you decided to pop the question, you probably didn’t think you needed a “proposal packing checklist,” did you? Well, it turns out that one of our most important marriage proposal tips is to ensure that you bring a few important items with you. This mostly applies if you’re proposing outside of your home, particularly in an outdoor location, whether it be on a hike, on the beach, in a park, or somewhere else. If you’re traveling while on a trip, be sure that these items are easily accessible at your destination, or remember to pack 'em. 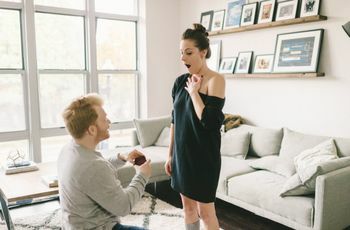 Check out our list of exactly what to bring with you when you pop the question, one of the most essential marriage proposal tips. It goes without saying, but we’re going to say it anyway—don’t forget the ring! We recommend keeping the engagement ring in its box while you’re transporting it to your proposal location. Keeping the ring loose in your backpack or pocket increases the likelihood that it will get lost. 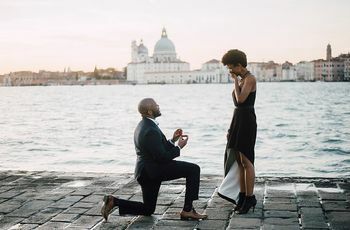 If you’re flying to your proposal destination, be sure to check out our marriage proposal tips when it comes to traveling with your engagement ring to ensure it reaches your destination safely. 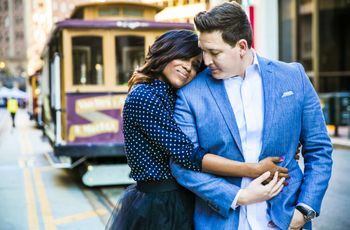 After you pop the question and your partner says yes, you’ll likely want to shout it from the rooftops—or at least call your parents! Be sure that you have your phone close at hand so you can call all of your nearest and dearest when you’re ready to make the big announcement (and pray that you have cell service at your proposal location!). Once you’ve told your VIPs (speaking to them is preferred over texting), use your phones to announce the big news on social media. Your phone is going to be blowing up after you start sharing the news—so much so that you might find yourself short on battery life. Bring a phone charger with you so that you can juice up your battery if needed. Of course, if you’re in an outdoor location, you’ll have to find a spot with an outlet to charge your phone, unless you have a wireless charger (which might be a good investment). 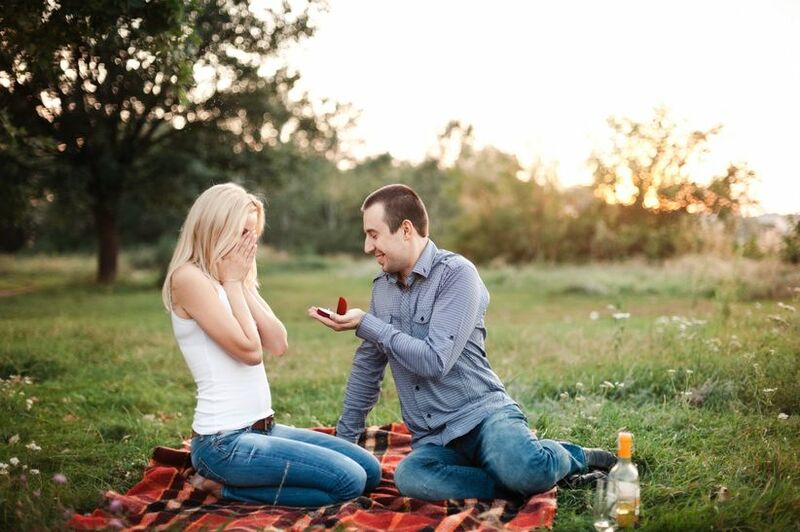 One of our top marriage proposal tips is to hire a professional photographer to capture the big moment. You’ll love being able to look back at amazing images of your proposal—and they’re sure to get a lot of likes on the ‘gram. If hiring a professional photographer isn’t possible, bring a camera to your proposal to at least capture a good selfie—or ask a passerby to snap a pic of you and your newly-engaged glow. The right song can be an ideal backdrop for your proposal. Create a playlist (a private one, of course!) with songs that you think will set the right mood, whether it’s upbeat and joyful or romantic and emotional. If music is super-important to you, you might consider bringing some small wireless speakers to make sure the sound carries. Just be sure that you’re being courteous of others (meaning, not blasting music at midnight in a residential area) and following any noise restrictions. When it comes to marriage proposal tips, one of the most important is to plan out what you’re going to say before the big moment. With all the excitement and nerves, even the most confident speaker might trip over his or her words. Therefore, we recommend bringing a (hand-written, preferably) copy of what you’re planning on saying. You might not need it, and you might choose to just speak from the heart, but in case you get stuck, you’ll be glad you brought some written-down thoughts. Of course, popping a bottle of champagne is a nice way to celebrate your impending marriage, but that’s not exactly what we mean here. If you’re popping the question, you might find that your mouth may start to go dry as your nerves increase. Bring a bottle of water or other beverage so you won’t be hoarse as you ask the big question. And yes, if you’d like to bring a little bubbly or other alcoholic beverage (don’t forget the bottle opener and glasses!) for a post-proposal toast, feel free! If you’re planning a simple proposal, you might just need to bring a ring and not much else. But if you’re going for a more elaborate surprise, there may be other items you’ll need to tote along, whether it’s a picnic lunch, rose petals, candles, a puppy, or…who knows? 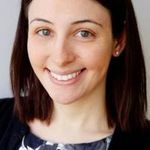 You may even need to plan a trip to your proposal location in advance to drop off all of the necessary items—be sure there’s a spot you can store them safely and do not let the engagement ring out of your sight.